"Thank you once again for allowing us to share your beautiful home & garden. It has been lovely to be back in Cider Barrel cottage. We have enjoyed another peaceful relaxing week." 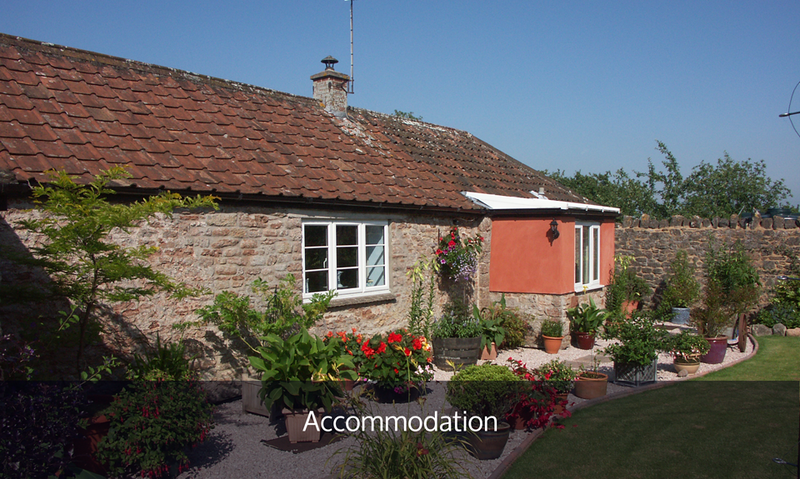 The cottage benefits from double glazing and there is full oil fired central heating. The master bedroom has a 5 foot wide bed. The second bedroom has full sized single beds. The lounge has an electric stove, colour TV, DVD player some DVDs and a selection of indoor games. The kitchen/diner has microwave, Colour TV, radio/CD player, refrigerator, automatic washer/dryer, dishwasher and a well equipped kitchen. Cooking is by an electric cooker. There is no gas available in the property. The bathroom has a power shower over bath and an airing cupboard. The conservatory has a panel heater and there is a sun parasol for use with the garden furniture. Smoke alarms are fitted and there is a fire extinguisher and fire blanket in the kitchen. The use of a cot and high chair (notified in advance) are without extra charge. A handbook and several local tourist brochures are provided to assist guests to make the most of their stay. Services including WiFi, electricity, heating, bed linen, towels, and enough consumables to get guests started are provided free of charge.